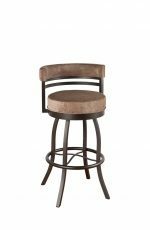 Buy Albany Wooden Stool with Arms & Backrest - Free shipping! 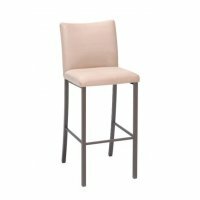 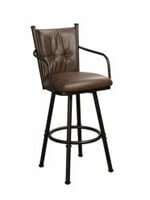 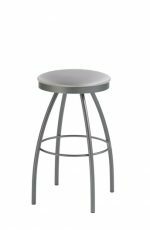 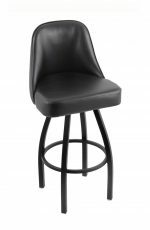 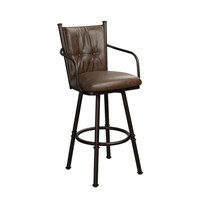 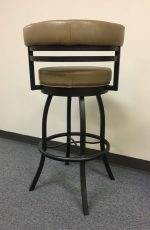 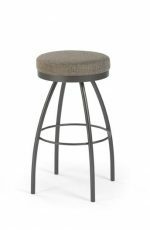 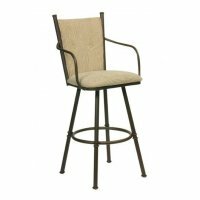 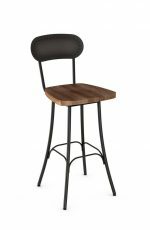 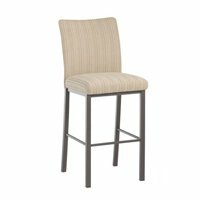 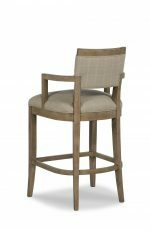 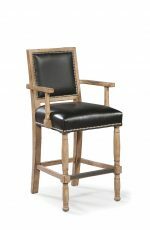 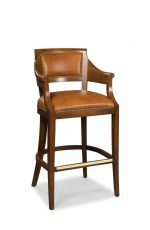 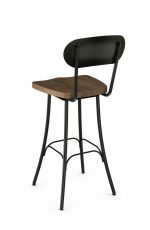 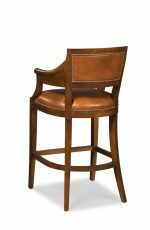 Sit back and relax in Fairfield’s Albany bar stool featuring a generously-sized upholstered seat and back, wood frame, and metal footrest. 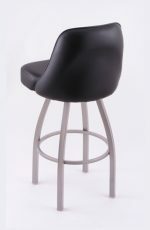 It also comes with arms providing long-lasting support. 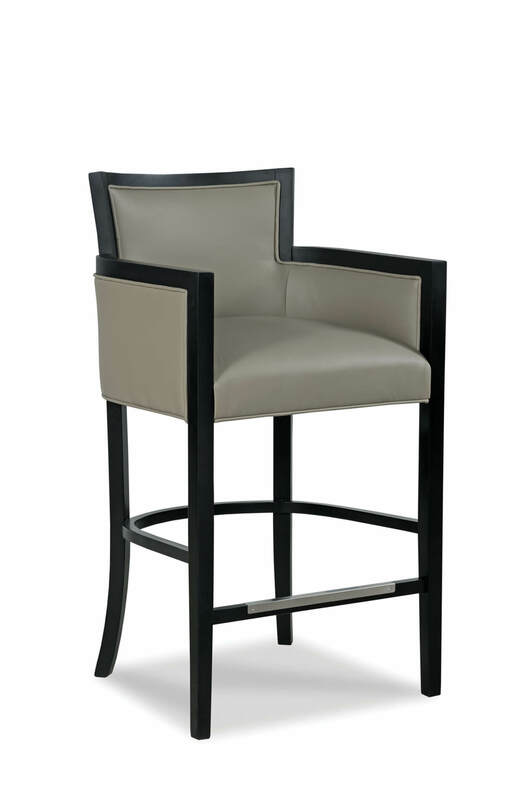 For standard height counters, slide the stool under your counter to maximize walkway space. 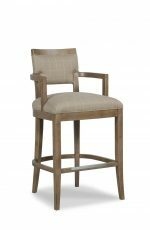 The Albany compliments kitchens and home bars that are contemporary, and want to incorporate comfort and durability with a streamlined look. 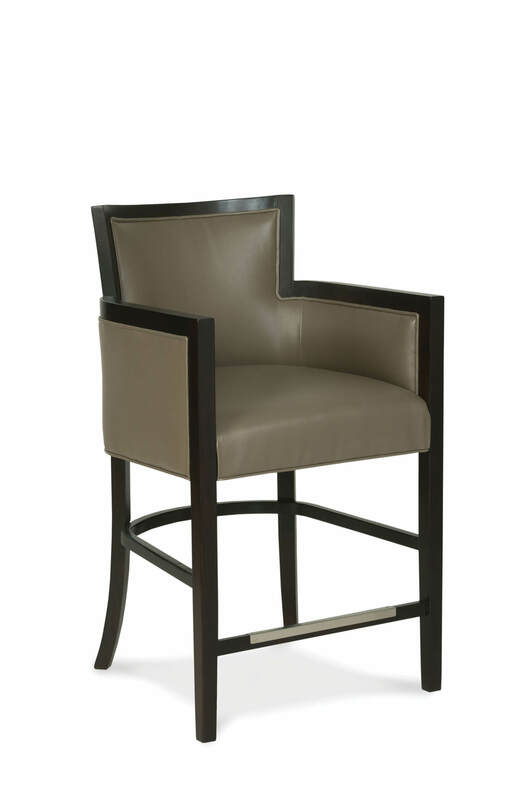 Note: due to frame design, the back on this occasional chair is available in solid fabrics/leathers only. 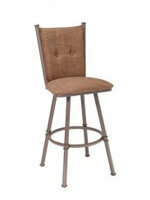 No patterns please, as patterns will not align on the back of the frame per our upholstering standards. 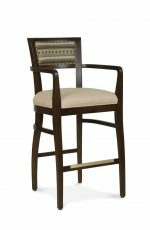 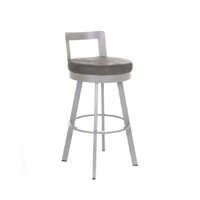 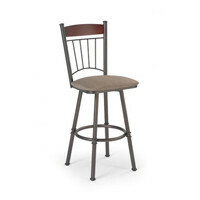 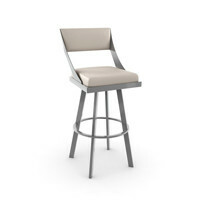 • For the Albany Upholstered Wooden Stool with Arms, you will need 2.50 yards per chair.